What a glorious name for a video game: Cameltry. Say it to yourself a few times. Cameltry. Cameltry. Cameltry. So far as I can determine, there is no meaning to the word beyond “a 1989 arcade game by Taito”, which is sort of a shame, but, well, a game having such a peculiar name is at least one way to ensure it is memorable. 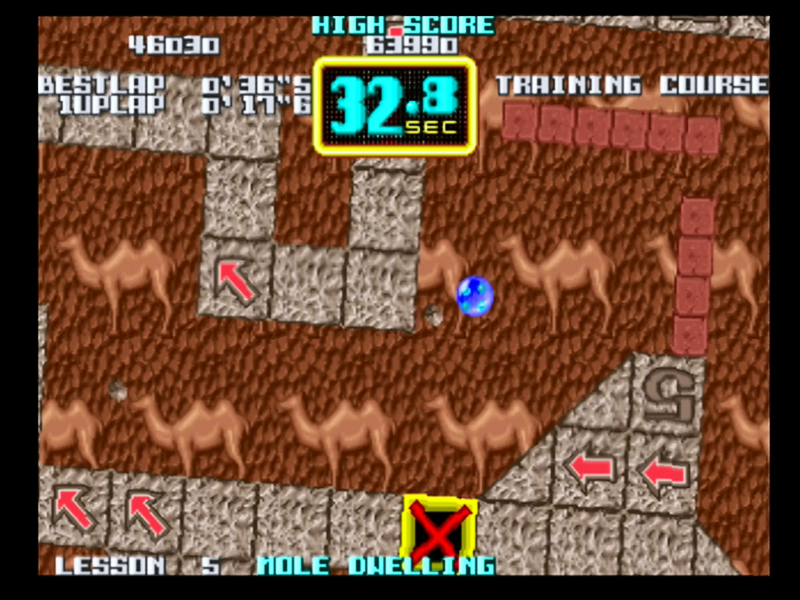 Fortunately, Cameltry is also a highly enjoyable if often overlooked installment in Taito’s arcade back catalogue, and well worth your time if you enjoy fiddly puzzle games and obstacle courses. In Cameltry, your aim is to get a crystal ball from one end of a maze to the other. The twist is that you don’t control the ball directly as you would in a game such as Atari’s 1984 title Marble Madness (designed by Mark Cerny, fact fans) — instead, you have control over the rotation of the screen. The ball then moves according to physics: it drops downwards if there’s nothing beneath it, rolls down slopes and bounces off obstacles. 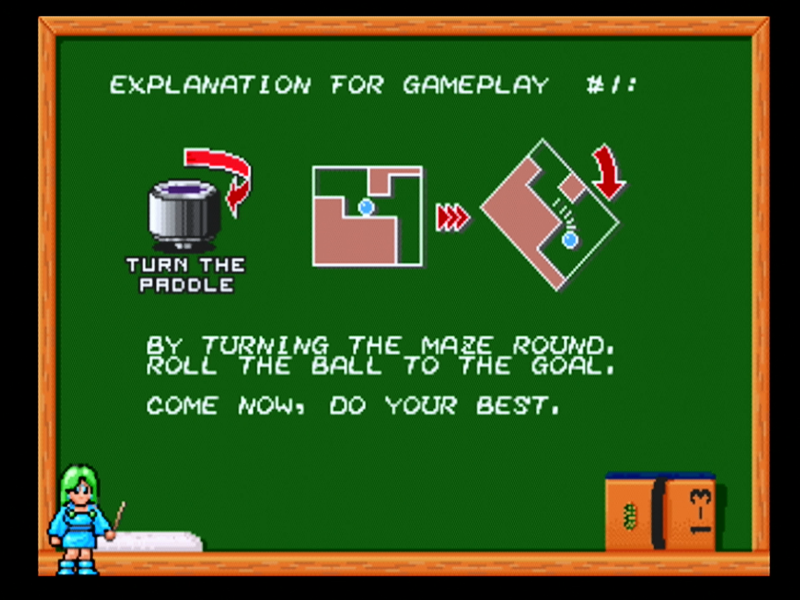 Your only control besides the rotation of the maze is a single button, which can be tapped to make the ball “hop”, or held down to make it accelerate and rebound more violently if it hits something. 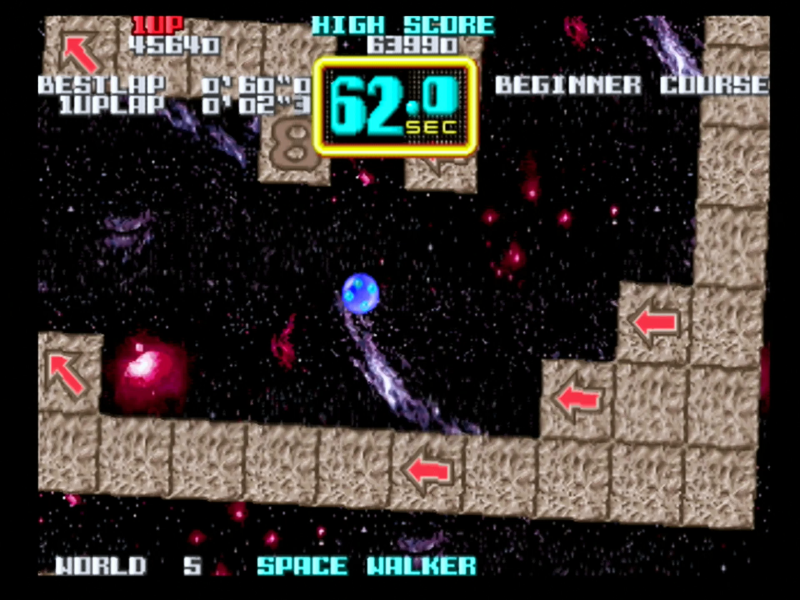 The original arcade version of the game made use of a rotary “paddle” controller similar to that found in Taito’s earlier classic Breakout successor Arkanoid, but the PlayStation 2 port found in the excellent Taito Legends 2 compilation simply uses the standard controller and works just fine. Cameltry starts very simple with a well-designed training course that introduces you to the game’s basic concepts a little bit at a time. It’s pretty easy to clear this selection of levels, by which point you’ll be well equipped to tackle what else the game has to offer. The difficulty starts to ramp up more noticeably from here, however, with narrow passageways to negotiate, dangerous blocks that reduce your remaining time and even, on one devious level, bonus items that might be fake — they might be worth 1,000 points, or they might steal three seconds from your precious timer. The actual mechanics don’t really get any more complicated that what you see in the tutorial levels, which is perfect for an arcade game. Where the majority of the challenge comes from is in applying your knowledge of these basic techniques into navigating your way through increasingly perilous courses, often combining techniques together and making increasingly risky manoeuvres to reach the goal before time expires. The game’s presentation is rather delightful, which each level having its own distinct aesthetic primarily established by the parallax background that sits “behind” the main maze. Different levels feature mazes made of different material blocks, too, and these will cause your ball to react in different ways when it bumps into them — even if it’s just the difference between the “ting” of the glass ball hitting a stone surface and the “thump” of the same thing happening on a wooden block. The levels are well designed so that despite the often intricate and complex routes you need to take to make your way to the goal, you’re never left in any doubt as to which way to go. Many walls feature arrows indicating the direction you should be heading, while progressing through the maze sees occasional number markings on the wall indicating how close to the exit you are — 9 being the furthest and 1 being the closest. In this way, you can judge whether you have time to explore and pick up bonus items, or if you should just make a beeline to the exit. The music is worthy of particular mention; it has a distinctive sound that fits the experience well, combining cheery FM synths with some wonderfully crispy late-’80s digitised drum samples. It has that inimitable “arcade game sound” about it, and longstanding Taito fans will be pleased to hear that it is indeed the work of Zuntata, with all the unconventional compositional aspects that entails! 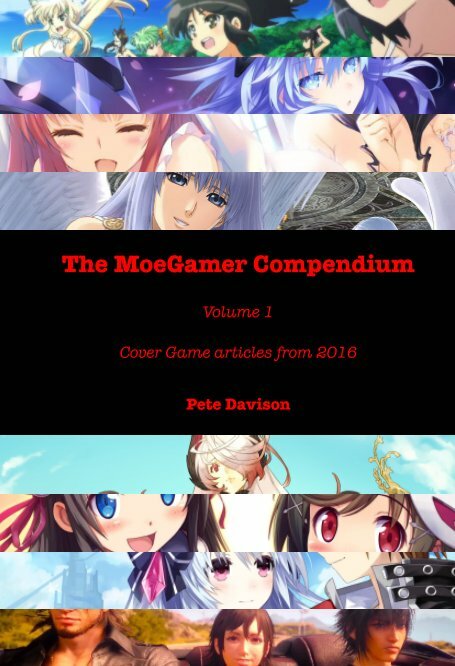 Although Cameltry is not a particularly well-known game these days, it’s spawned a number of successors over the years. 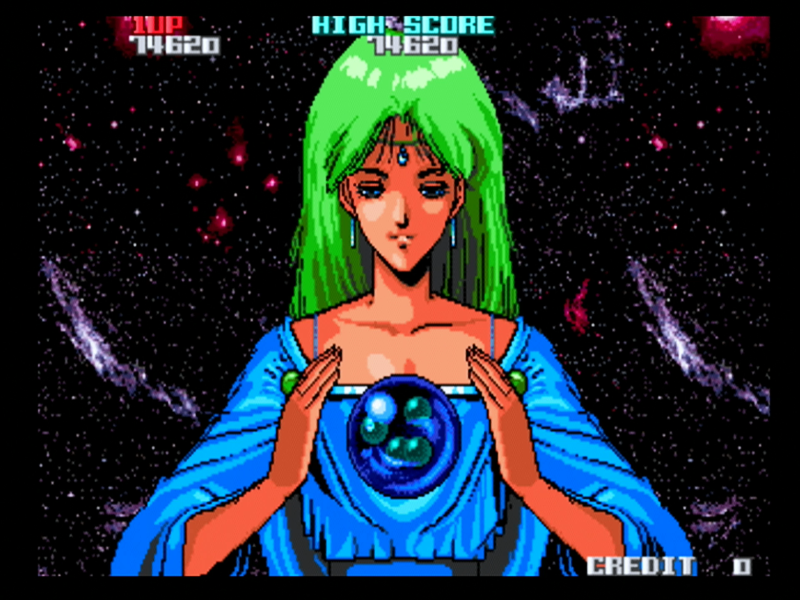 The arcade version got a port to Super Famicom and Super NES, where it was known as On the Ball in Western territories and supported the underutilised SNES mouse accessory. The DS also got a new version in 2006, known as Mawashite Koron in Japan and Labyrinth elsewhere in the world, and an iOS version known as Cameltry: The Labyrinth of Enigma was released in 2009. 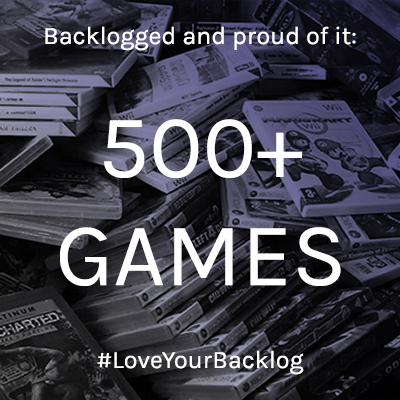 Outside of the Cameltry series itself, we’ve seen a number of other similar games over the years. 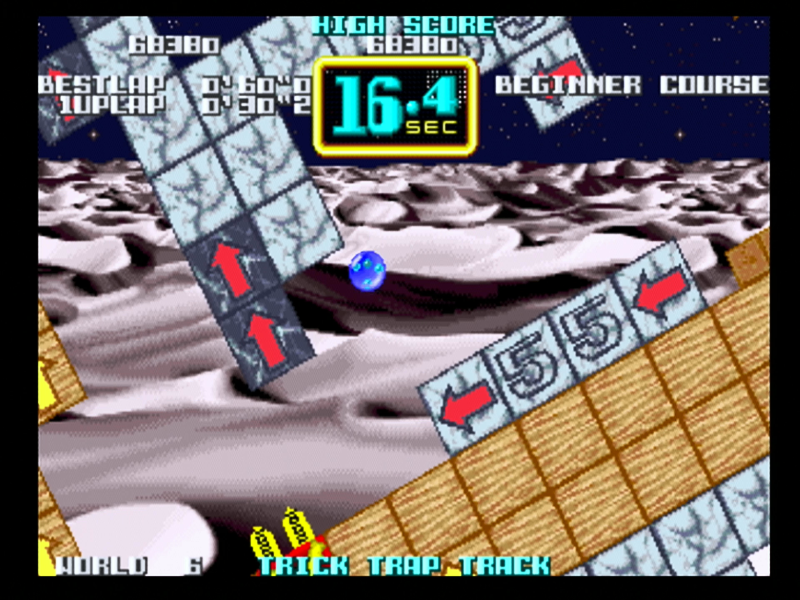 The “fiddly obstacle course” style of game has been popular in Japan in particular for some time now, with titles like Jaleco’s Irritating Stick and Eighting’s Kuru Kuru Kururin being some of the most well-known examples, but elements of Cameltry’s gameplay can even be found in titles like Sonic the Hedgehog, whose spinning bonus stage works in a similar fashion to Cameltry, only in that instance you control Sonic rather than the maze’s rotation directly. Then, of course, a more direct line can be drawn from Cameltry’s gameplay to relatively modern 3D titles such as Sega’s Super Monkey Ball and Hudson Soft’s Kororinpa, both of which are based around the same premise of moving the level rather than “your” character. 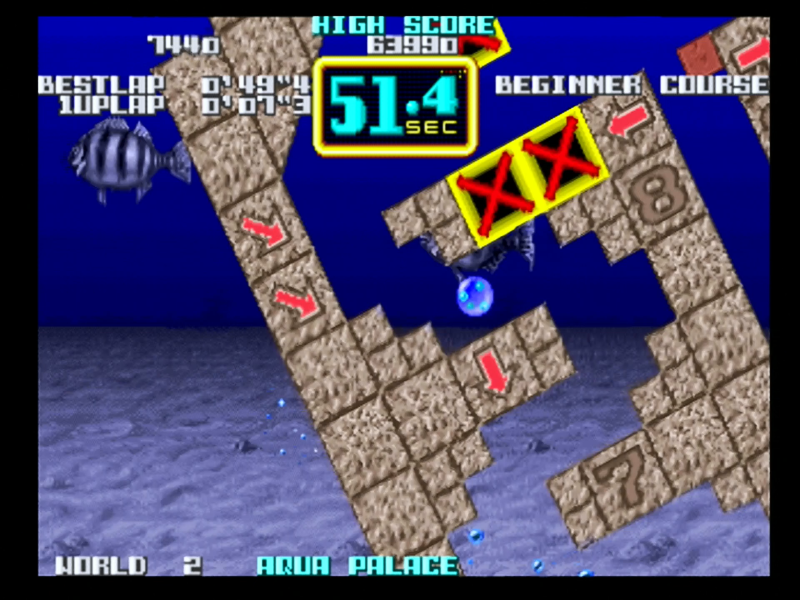 Both of these have a slightly different focus, however; while in Cameltry you are confined in a maze and simply have to negotiate your way to the exit as quickly as you can, in both Sega and Hudson’s offerings your route to the goal is rather more dangerous, often littered with pitfalls and barrierless sections that you can fall off. 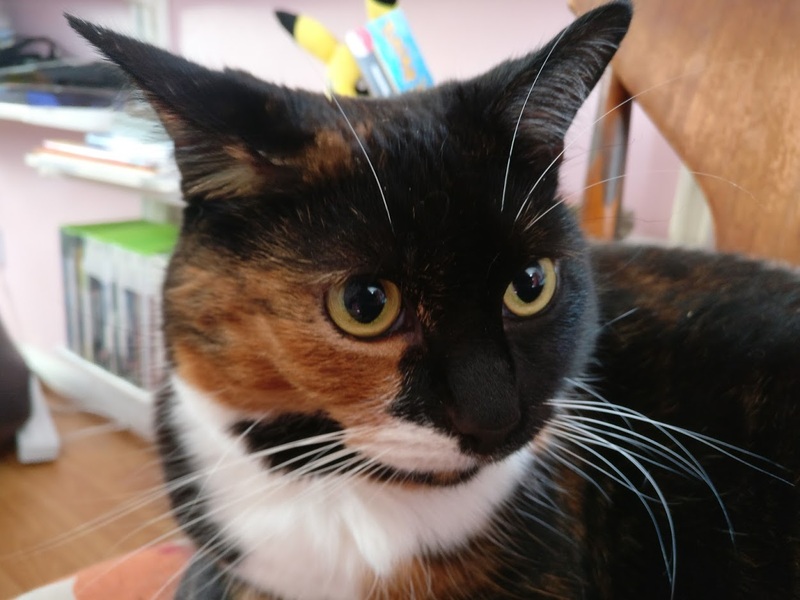 As a result, Cameltry feels rather more sedate than its two spiritual successors, and certainly quite a bit less frustrating — though that said, those time limits do start to get pretty tight after a while, making things stressful in a different way! If you enjoy abstract, non-violent and oddly relaxing games, Cameltry is definitely worth a look. It’s got a nice rhythm to it and is an enjoyable bit of escapism for a few minutes at a time; you don’t have to think about it too hard while you’re playing, and you’ll probably come away from the experience feeling pleasingly mellow. Sounds like just the sort of game we need in today’s climate, huh? Yeah, it’s not one I was familiar with before I stumbled across it in the Taito Legends 2 compilation, either, but I’m glad I did! Might have to try and track down the SNES version.